We offer Blue Seat Belt Webbing Replacement Nationwide through our Mail-In Service. Want to spice up your brand new sports car by replacing the standard belts with blue seat belts? Turn to none other than Safety Restore! 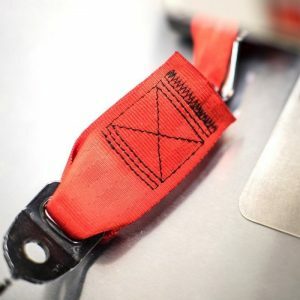 One of the company’s many specialties, among the ability to reset SRS airbag modules and repair single stage, dual stage, and triple stage belts, is offering seat belt webbing replacement. The company has worked with many a customer to replace their old and worn out or just plain boring black, gray, tan or brown seat belts into dazzling new shades. Some of the colors offered are Neon Green, Ferrari Red, Illuminating Yellow, Hot Pink, and of course–Cobalt Blue. When getting blue seat belts at Safety Restore, you can rest assured that your safety will not be compromised–neither will the quality of the seat belt. When completing the seat belt webbing replacement for its customers, Safety Restore re-webs the material down to the spool, making sure to clean out the entire assembly mechanism. They replicate the original factory stitching pattern using automated stitching, and make sure to replace all the original manufacturer tags and accessories. Additionally, Safety Restore only employs highly trained and experienced seat belt engineers to complete the work. Only 100% OEM parts and industry standard tools are involved in the repairs. A 24 hour turnaround time can be expected, regardless of the location items are being shipped from, and a lifetime warranty is guaranteed on all services. Furthermore, the company has always met or exceeded FMVSS standards. Fortunately, all makes and models of vehicles are welcomed. The prices are quite the bargain too. You pay only $74.99 per belt for blue seat belts at Safety Restore, as compared to spending hundreds if not thousands for the same service at the dealer! All this just points to the quality and safety that Safety Restore ensures. Customer satisfaction can be easily seen through the company’s high positive review count. Safety Restore also makes the process of getting blue seat belts quick and easy. All a customer needs to do is visit their website, safetyrestore.com, select and pay for the service for blue seat belts, box up their current belts, and ship them out to Safety Restore using any preferred carrier. Once the seat belt masters receive the package, in just 24 hours they perform all the work and send the package back out! So don’t wait any longer! Update your brand new sports car with blue seat belts today! Does your classic car need the seat belts restored? While some seek the comfort of high-end, luxury vehicles, other seek the comfort of all American Muscle Cars. When it comes to classic cars, American muscle cars are some of the most sought after vehicles, particular by collectors in the United States. These collectors are not looking for the comfort of the latest technological features, but reminiscing a simpler past that prized raw power in a car. What exactly defines an American muscle car? An American muscle car is an all American made car with a V-8 engine. While four-door cars and convertibles can also be American Muscle Cars, the most popular ones are two-door cars. Horsepower and drive are the most vital aspects of a muscle car. Most importantly, the car must have eight cylinders to be classified as a muscle car, which gives the classic car unmatched fierceness and muscle. The ferocity and raw drive of these vehicles from the 1960s and the 1970s inspires nostalgic collectors who grew up watching the vehicles or newer and younger collectors seeking a powerful drive. Collectors know that collecting American muscle cars is a labor of love. To get the car into its original shape is often time-consuming, costly and can be frustrating. Nevertheless, the end result is always worth it. Safety Restore offers classic car seat belt restoration, as well as repair or replacement. Seat belts often wear very quickly, becoming frayed, torn, or stained, which requires seat belt restoration. Having the correct type of seat belt can not only help keep the car accurate, but can transform the look of the interior. Safety Restore makes classic car seatbelt restoration a simple and easy process. All you have to do it remove the seat belts and mail them to Safety Restore. 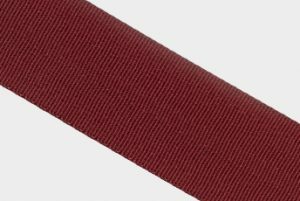 Safety Restore offers classic car seat belt restoration in a variety of unique colors and trims. With a 24-hour turnaround time, your classic car will be complete and your new seat belts will be on their way back to you! Our classic car seat belt webbing replacement services. The pride and joy of a classic or antique car owner is when the vehicle transports onlookers into the past. With careful attention to detail, such a result is almost guaranteed. The effort it takes to create this result is all part of the pleasure. The owner must carefully inspect, clean or replace each part of the car. Classic car seat belt webbing replacement is no different in this process. When onlookers see a perfectly restored classic vehicle, they only see half of the story. For those who do not understand the lifestyle of classic car owners fail to enjoy the process of the restoration itself. Restoration is a tedious and time consuming aspect of classic car ownership. Paradoxically, the restoration is both frustrating and exhilarating at the same time. Without the attention to classic car seat belt webbing, a classic car may fail to evoke the nostalgia it could. After years of wear and tear, it is necessary for classic car seat belt webbing replacement. Seat belt webbing often becomes dirty and discolored and frayed. Sometimes, the seat belt fails to properly retract or work in the way it was designed to. 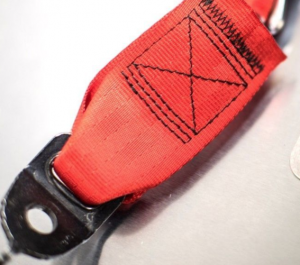 In these situations, seat belt webbing replacement gives the car a new look and feel. Whether the car has the modern 3-point seat belt, or the older 2-point lap belt, the webbing will likely need to be replaced. Safety Restore’s classic car seat belt webbing replacement can help classic or antique cars look authentic while maintaining the practicality and safety of seat belts. Safety Restore offers a variety of colors for seat belt webbing, including red, yellow, green, gray, black, and purple. With careful attention to detail, seatbelt webbing replacement can make the car look as new as it did when first produced. Our classic car seat belt webbing restoration services. Any classic or antique car owner can tell you that restoring such a vehicle is a labor of love. A fully restored car is the summation of careful attention to detail. Each piece of the car is often disassembled, then cleaned and sanitized or repaired before being reassembled into the vehicle. Maximum effort is necessary to restore and repair to an antique or classic car to original, or even better, condition. In all these aspects, classic car seat belt webbing repair is a detail that cannot be avoided or overlooked. Seat belts are not just a superficial detail, but a lifeline for drivers and their passengers. In the event of a traffic accident, the use of seat belts can mean the difference between life and death, or minor and severe injuries. The Center for Disease Control (CDC) estimates that around half of the individuals who died in traffic accidents were not retained by any kind of seat belt at the time of impact. About a third of all child fatalities from traffic accidents were not restrained by a seat belt at the time of impact. Consequently, classic car seat belt webbing repair is imperative in classic and antique cars to guarantee the safety of the driver and any passengers. Just as the owner carefully repairs any damages pieces, Safety Restore can help with seat belt webbing repair. 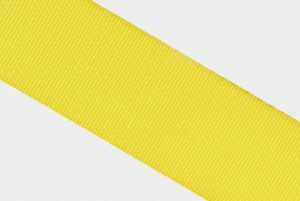 With seat belt webbing in colors like red, gray, yellow, green, black, pink, and purple, Safety Restore makes webbing repair easy. Safety Restore’s webbing can be used on both modern 3-point seat belts, or on classic 2-point lap belts. The experts at Safety Repair understand the value of classic and antique vehicles, and can assist with any classic car seat belt webbing needs. Since the modern 3-point seat belt was invented in 1959, cars have drastically changed. However, modern collectors of classic and antique cars know better than anyone that newer is not always better. For these collectors, restoring a seat belt is often a challenge, especially when trying to match that seat belt to a car’s classic interior. Luckily, Safety Restore offers classic car seat belt restoration for any kind of classic or antique seat belt. Restoring classic cars is an art form of preserving and treasuring the past in a reality that often neglects the beauty of the past. With each part of the vehicle the owner restores, he brings to life a piece of the past – a piece of history. Each detail of the car deserves special attention to ensure accuracy of the classic car. Unfortunately, seat belts are often overlooked in the restoration process. Nevertheless, including the correct type of seat belt webbing often adds another level of authenticity to a vehicle. Choosing the right seat belt for classic car seat belt webbing restoration is a task most classic car owners must take on. Old seat belt webbing can be discolored or dirty and date the interior of the car. Moreover, old seat belt webbing can fail to work or retract properly, taking away from the functionality of a vehicle. Whether the edges are frayed or the seat belt is not retracting with the speed it once used to, classic car webbing restoration can improve the entire look and feel of a classic or antique vehicle. Safety Restore offers classic seat belt restoration for any old and worn seat belt. With classic car seatbelt webbing restoration, you can be sure that your car will not only look great, but comply with modern safety standards to keep you and your passengers safe. Whether the classic vehicle has a 3-point seat belt or a lap belt, Safety Restore can assist with restoring your seat belt webbing. Safety Restore also offers a broad variety of colors, from yellow to black, to ensure that your classic car’s seat belt looks is as accurate as possible.